Spoken like someone who has thought long and hard about the responsibility of having lots of money. 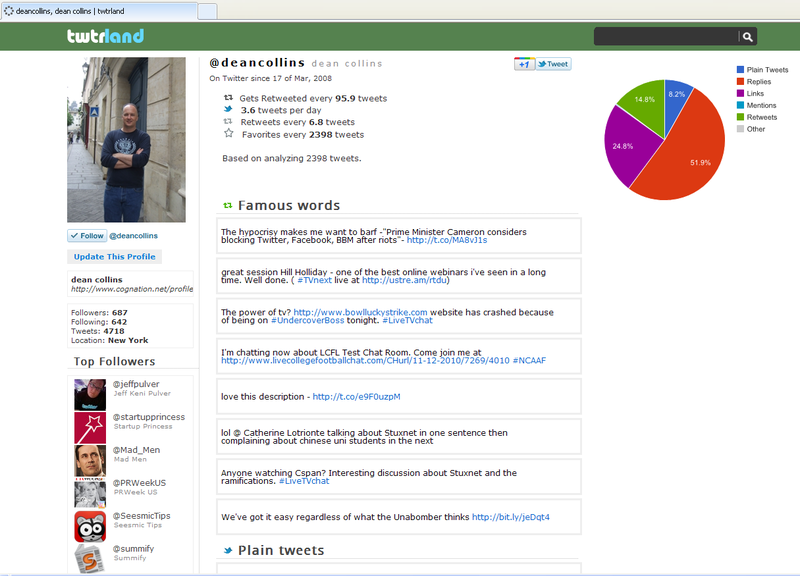 I was forwarded a link for http://twtrland.com/ which is yet another automated twitter analytics tool. And although it showed me the following people have interacted with my tweets among other things, it left me wanting for more, where is the http://www.mint.com/ of Twitter? what is it about Mint that captures me and brings me back to look at the updated details month after this but i couldn't be bothered even adding Twtrland to my browsers favorites? What are we missing? or is it just the subject matter of Mint that makes it sticky?